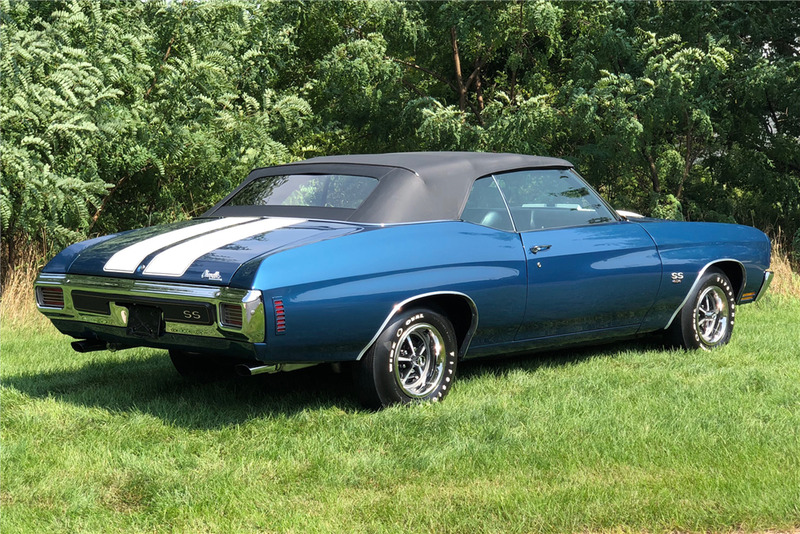 This 1970 Chevrolet Chevelle SS 454 LS6 convertible is a full frame-off restoration car. The car is painted in its original color, Fathom Blue with white stripes, with the ZL2 cowl hood. 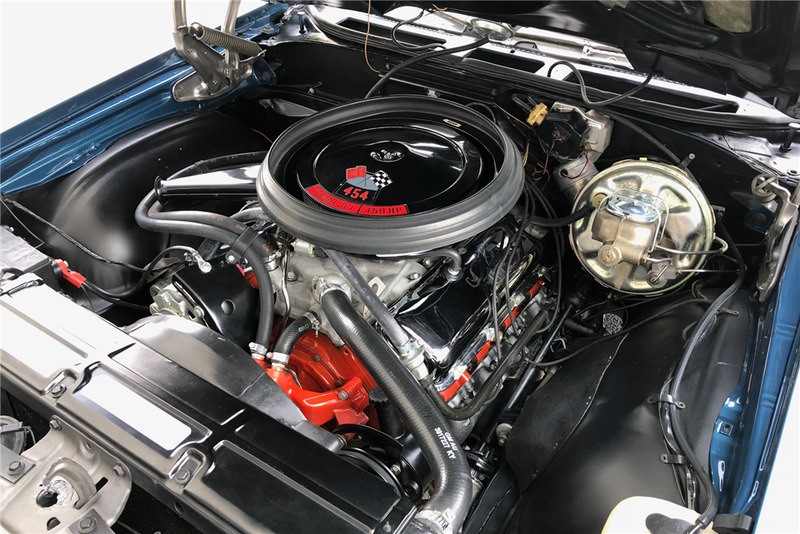 The 454/450hp LS6 engine numbers match the block number, signifying it was built the Tonawanda engine plant with a March 25 build date. The LS6 comes standard with a 4-barrel carburetor and correct Winters aluminum intake manifold. Cooling the engine is a correct heavy-duty radiator. The engine is mated to the original matching-numbers Muncie M22 heavy-duty 4-speed manual transmission. Power is sent to the rear wheels through the posi-traction rear differential, and then to the correct SS wheels with YA-code stamp. Firestone tires are mounted on all four corners and on the spare. Keeping the car riding smoothly is the correct F41 suspension (standard for the SS) and factory power steering. Power brakes provide the front discs and rear drums with proper stopping power. The interior is furnished with the black vinyl bench seat, 4-speed combination, and a standard AM/FM radio with dual speakers. 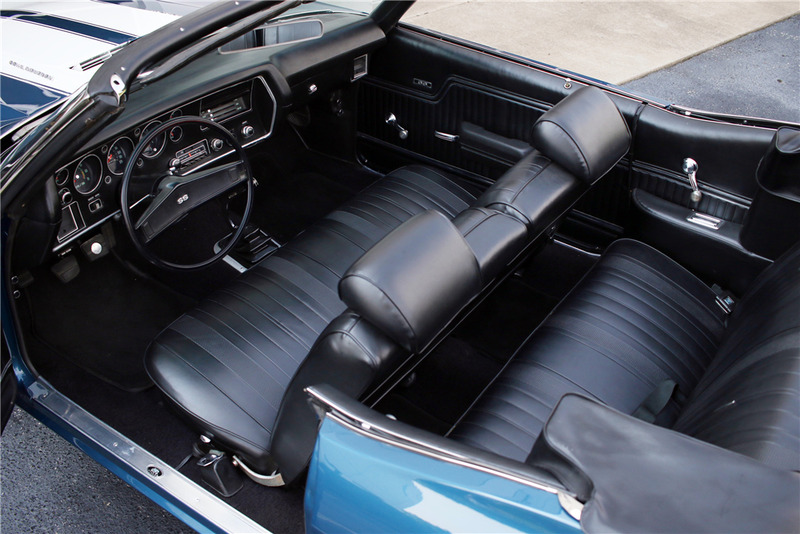 Matching the interior is the black power convertible top, and the black vinyl convertible top cover is included.